Dubai: Teary goodbyes are on the horizon, as many UAE parents send their children to school for the first time this month. Year after year, worldwide, parents and educationists prepare for the big first-ever day of school — and the first-day jitters that come with it. Some children settle right in, embracing the school environment, while others need more time letting go, being away from parents and their homes for many hours a day. Specialists in early education spoke to Gulf News on the process, saying the transition from nursery to ‘big school’ — usually starting with kindergarten or the foundation stage — is not always easy, but that help is never far. Amol Vaidya, director of operations for Mena region and head of the parent engagement programme at Global Indian International School, Dubai, said the process can be protracted for some families. “It’s not so easy, for both children and parents. The problem, sometimes, is acute, especially in the current times. Families have become small and, especially in a place like Dubai, the small child may not know anybody other than the mother or father. So for that child to suddenly now stay away from the parents for three or four hours a day is not easy. The crying can go on for a couple of months,” Vaidya said. But even before school season starts, ideally parents should embark on a “weaning off” process so parents and children can get used to the daily spell of separation, and to let children become more independent and confident, Vaidya said. “Parents can start putting children in small play groups or send them to the play area when they go to a mall; leave them there for half an hour or an hour. Or they could leave them with the grandparents for two days and walk out. During the day, the child stays with the grandparents and during the evening, the child stays with you,” he said. Most schools also have open days or orientation days before classes start, so parents and children would do well to explore what will essentially be a second home. To help out, Ladybird Nursery in Dubai recently put together a guide for the changeover from nursery to KG. “Having gone through the transition with my own children, I understand how daunting it can be for both the parents and the child,” said Monica Valrani, CEO of Ladybird Nursery. For instance, she added, children will probably get less individual attention from the kindergarten class teacher, as the student-to-teacher ratio is typically higher than in nursery. “The school is a big environment, much bigger than a nursery, where children will have to be on their own a lot more. At home, parents can encourage children to become more independent, to make simple choices for themselves — choosing what to eat, dressing up, fetching water for themselves, things like that. This helps when they are in class,” Valrani said. Besides physical health, there are emotional issues to weigh up as well. “Sometimes the parent has more anxiety than the child; you have to calm the parent down more than the child. Children sense this, the anxiety rubs off on them,” Valrani said, advising parents to be strong for their children. 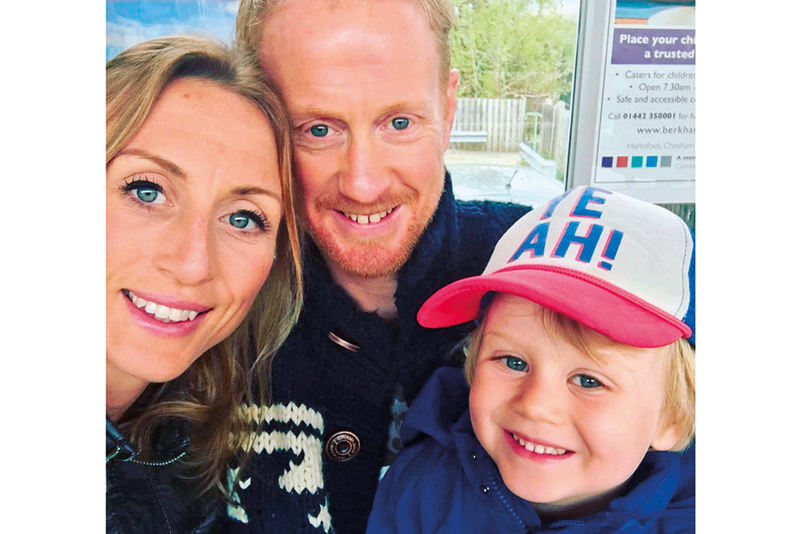 British expat Zoe Cresswell, who will be sending her son Bertie to school for the first time, said having a “handover person” at school would be helpful. “Bertie went to a nursery and I needed a handover person, a familiar face, who would receive him there. At the school, I’m guessing that person will be his teacher,” Cresswell, who lives in Dubai, said. What also helps, she said, is building up the excitement together as a family, ahead of the school opening. Little things count — trying on the school uniform, counting down the days and touring the school before the first day of class. Speaking about the big day that is round the corner now, Cresswell said, “I’m expecting tears, but I will be OK”. 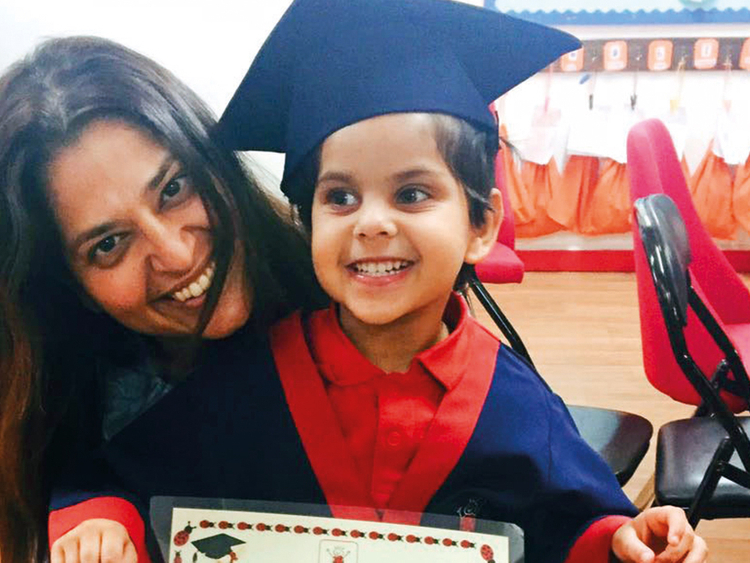 Yuva Gurbaxani, another British mum in Dubai, said her daughter Dania, three, is very excited about going to school for the first time. Gurbaxani explained that part of the reason why her daughter feels this way is because she had a positive nursery experience. “Her readiness for school is a lot higher now; it is not a complete unknown. She has a positive approach and I know she will be fine. I’m not worried,” Gurbaxani said.